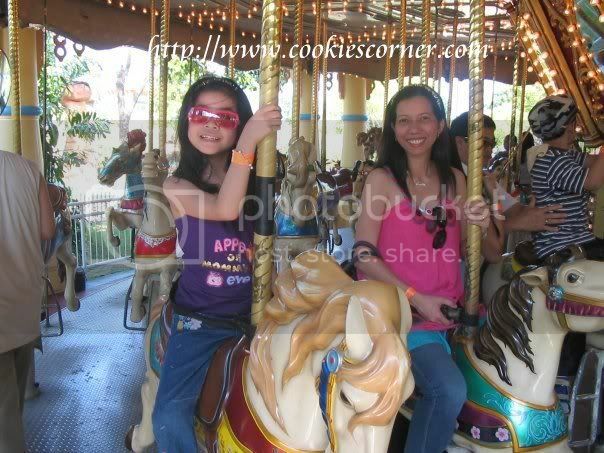 I've never experienced riding on a carousel when I was a kid. Even when I was growing up, I never had the opportunity to ride on a merry-go-round. I let it passed by and when I had a kid on my own, I let her ride the carousel as much as she could. It made me happy to see her smile. 2 years ago, we went to Manila while I was pregnant with my youngest. 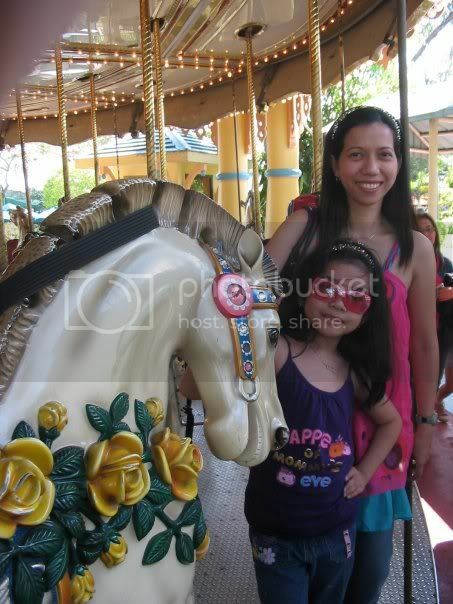 We went to Enchanted Kingdom to have fun. While the sun was scorching hot, our first stop was the carousel ride. Since we paid for ride-all-you-can, my hubby said why not enjoy it? I joined my hubby and daughter for the carousel was huge. I've realized then that one of my dreams came true - to ride the carousel, at 4mos pregnant! I hope to go back in there someday and bring my youngest child with me so that she can also experience the fun. Didn't know that carousel is for adult as well. They must have good safety standards there. Haha! Me too, I have never experienced a carousel ride myself! Pobre ra jud ko nga nagdaku. A real horse and a real cow and carabao were more accessible to me then! Lol. Linky for this week's TT is now up Mommy Cooks! Hope you can join again!